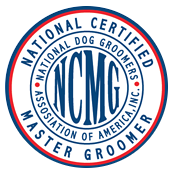 Grooming at our facility is different than other shops, because every groomer in our shop is a Master Groomer. All pets getting groomed will receive a full bath and conditioning treatment, and full groom. We do not have add-ons for medicated baths or flea, if your pet needs it your pet gets it. All included in the price of the groom. Our shop is a single room design, so we can be with the pets the whole way through the grooming process. We provide a la’ carte service for your needs as well. We also carry a wide range of shampoos and conditioners, chosen specifically for your dog’s skin and coat needs. At no extra cost. All Grooming includes Bows or bandana and cologne. We offer a unique kind of pet sitting. Instead of your dog staying in a run that resembles a large cage, they come to our homes and become a part of our family. What we are seeing is less stress related illness and a more comfortable pet for their stay. If staying in our home isn’t what your pet needs we can also do scheduled visits or in-home stays. Please call for scheduling as soon as you can, due to the limited amount of space per home we will fill up before all holidays.